Welcome to the second installment of my Mayflower Lineage Application Series. In my teaser blog I listed 10 challenges I found on my Mayflower journey. 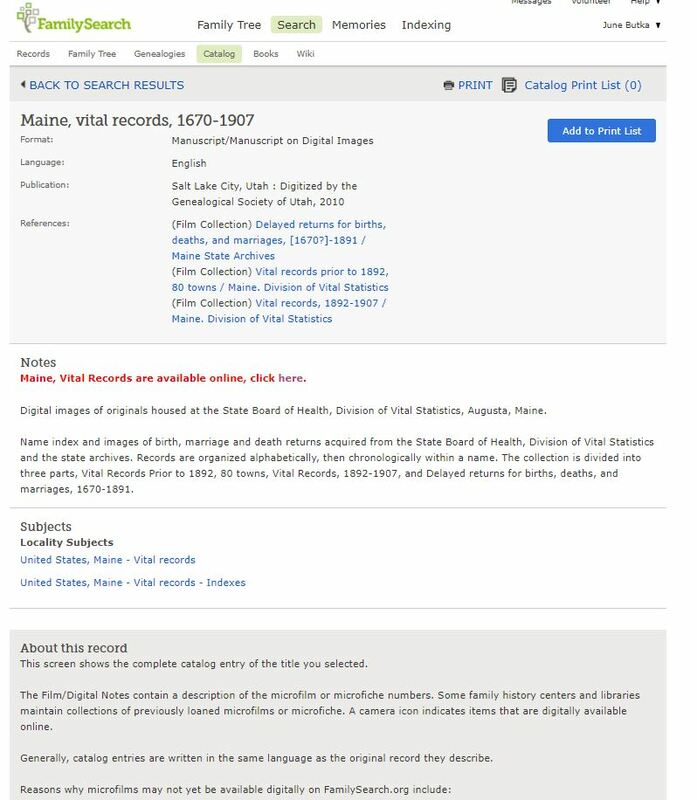 Snag 1: First snag happened last July when the state of Maine change the years allowing you to obtain records to 125 years. That meant anyone born 1892 or after, required you to present your relationship the person with certified birth, marriage records and in my case death records for my parents. I needed those records for my application anyway. The problem was now I needed to go to that place to obtain the record. Massachusetts, also requires you to show relationship and that my parents were deceased to obtain my grandfather’s death record from 1967. That includes: Charles L. Pease, My grandfather, and my grandmother, Irene E. Place. Thankfully I already found Charles birth record before the law changed. Today’s blog is about my process of finding Charles‘s birth record. 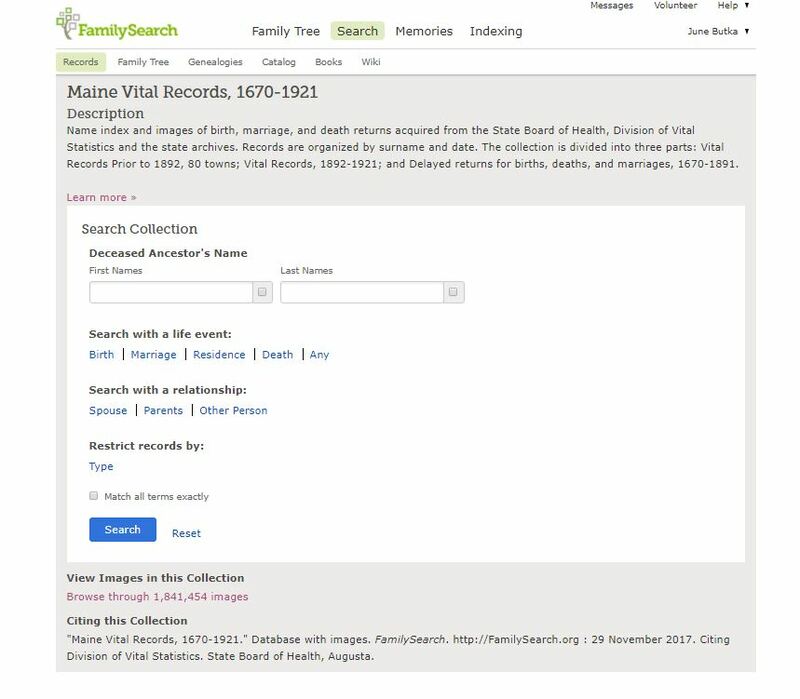 I stated with a board search on Familysearch.org. Pease, 1905-1909, Maine. The search yielded 22 results. No strong results. None of the names were Charles. Two only listed the surname. All listed the location I was looking for. All listed George A. Pease and Mary Etta/Ella Pease as mother. I could rule out the females, including the unknown female born in 1908. Added the found infant children to the family tree. 3. When I clicked on “here’ another search box came up. I clicked on Browse through images. 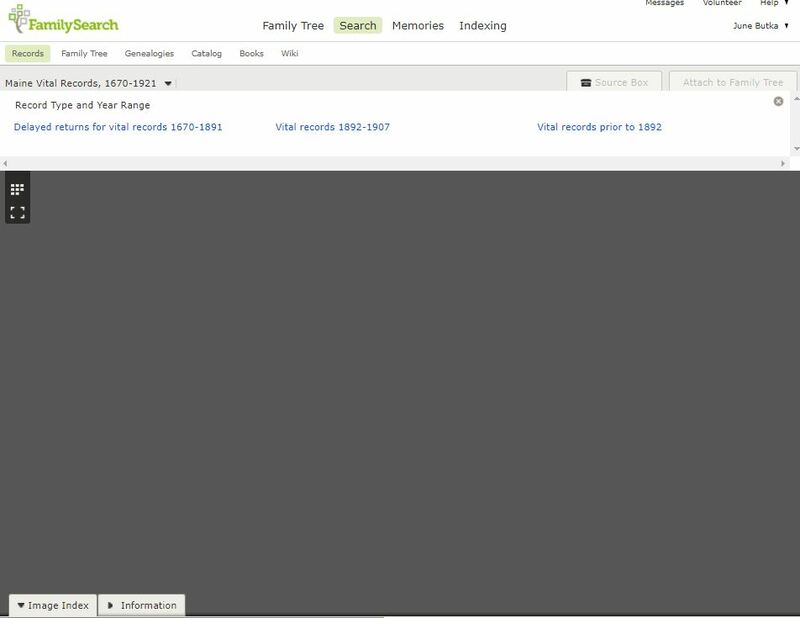 When the image box opened I clicked on the vital records 1892-1907. 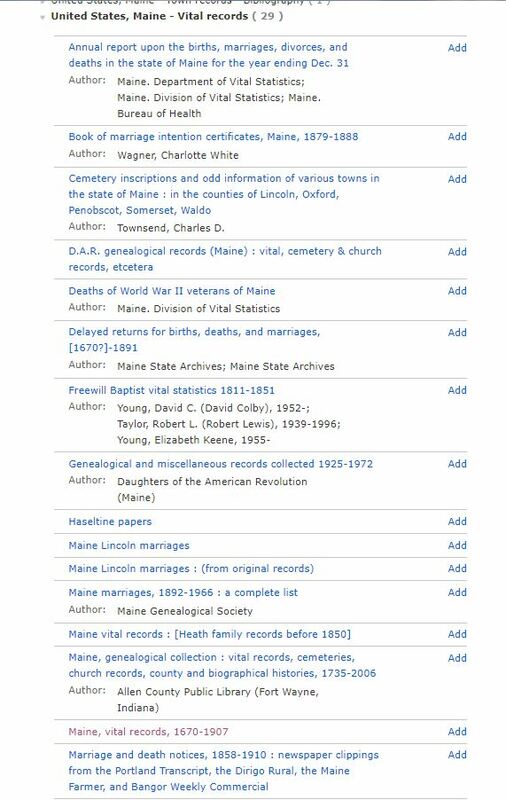 [I saved the link for Delayed returns for vital records 1670-1891 and vital records prior to 1892 for future searches of other Maine ancestors.] I knew my grandfather was born in 1907. 4. The image screen should there was 4149 images to browse. By clicking on the multiple box square it displayed the images in a group. 5. I knew that 1907 was at the end of the images I changed the image from 1 to 3000. 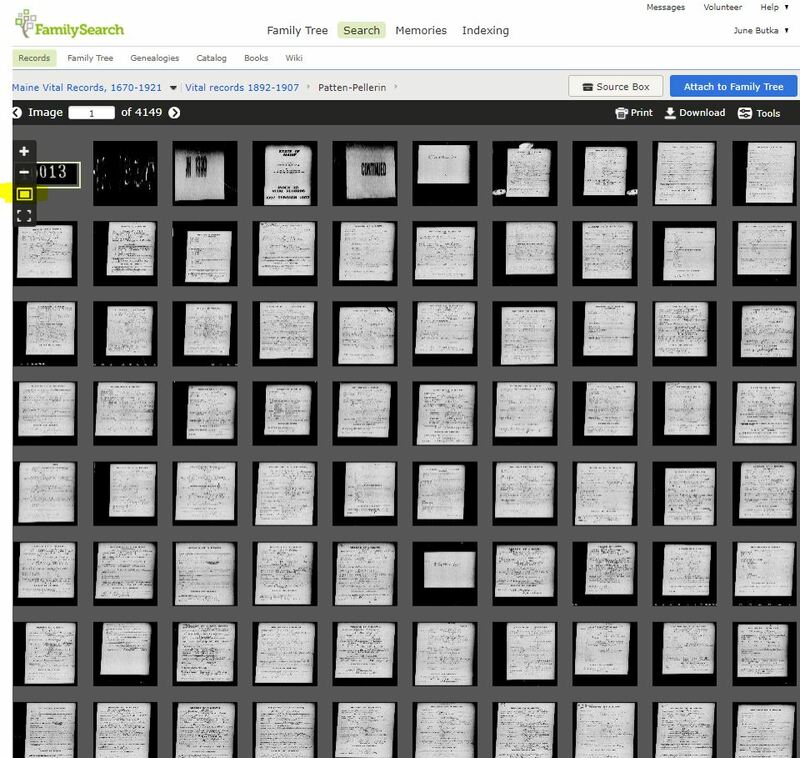 I click on the highlighted image [5th row on the right] It displayed an image for a Daniel Pease deceased 1893. I found the Pease surname. 6. I return to the multiple image view and scroll down until I see an image with a small amount of writing. It usually means it is a date or next grouping. [bottom row center] It was for the year 1896. You can repeat the scrolling or you can enter numbers in the image box, I usually go by 100-150 until I get close to the view I looking for. Image 3200 was for the year 1901. Image 3300 year, image 1903, image 3400 year 1906. I now go down to 20 images at a time. 3420 brings me to 1907. 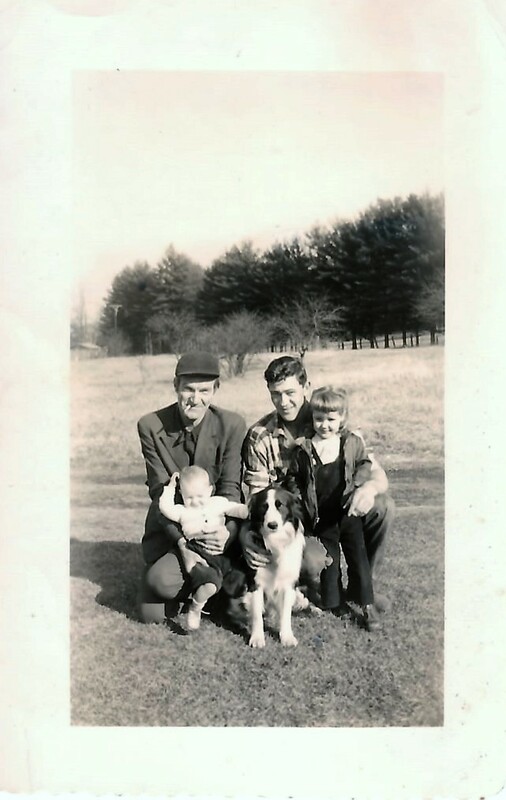 When I click next image arrow I found my grandfather as an unknown male child, live birth and the 9th child of Geo [rge] A Pease and Mary E. Thomas, born Livermore, Maine. 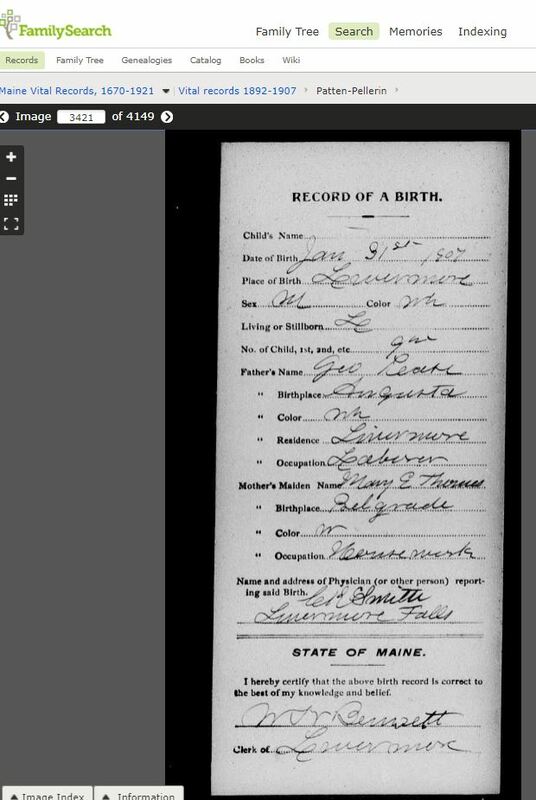 George was born in Augusta Maine, he resided in Livermore, Maine and was a Laborer. This information agrees with other records. Mary E Thomas born Belgrade, Maine is a housewife is mostly like Mary E[tta] Downs. Her step father was Thomas Penn Rice. Most likely a transcription error occurred in the delayed record of birth. 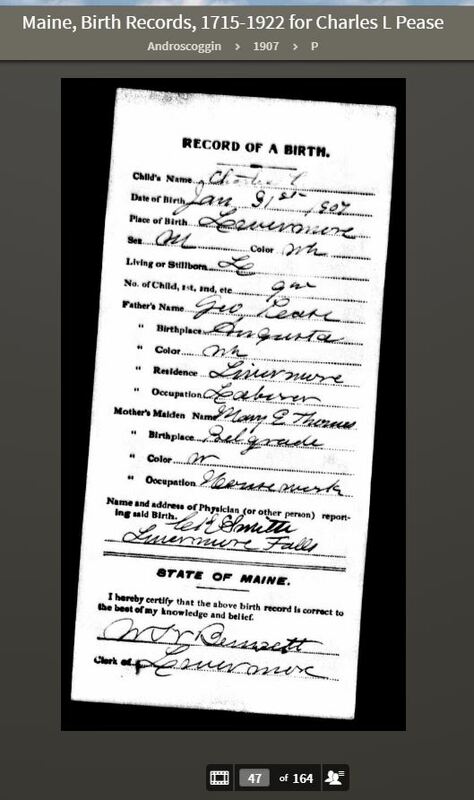 All other documents of their children’s birth list her maiden name as Downs, born in Belgrade, Maine. Yes, this is a time consuming search. It is one I do when all other search results are ineffective or inconclusive. 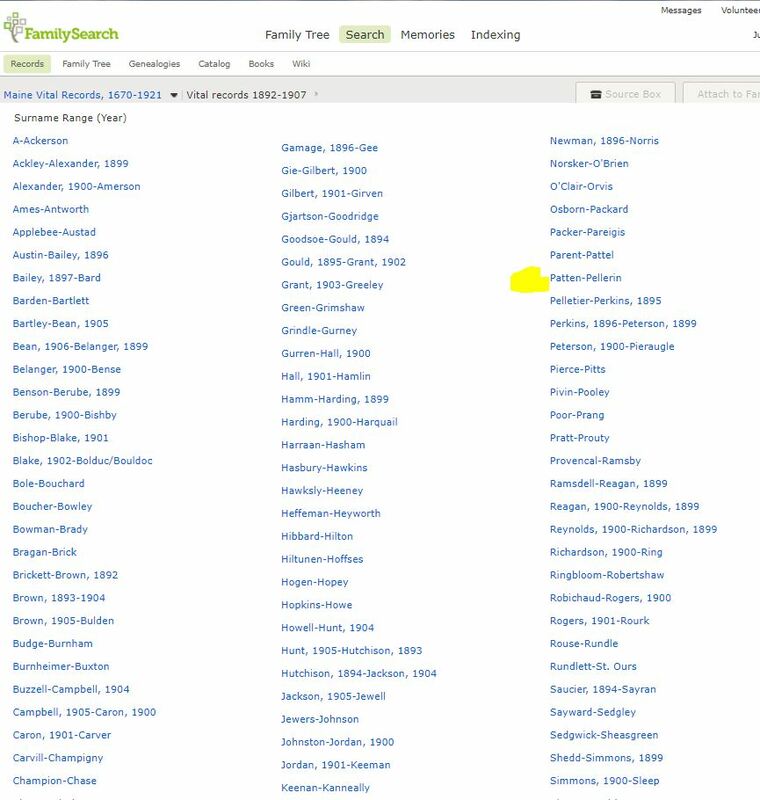 I did a search on Ancestry for Charles. 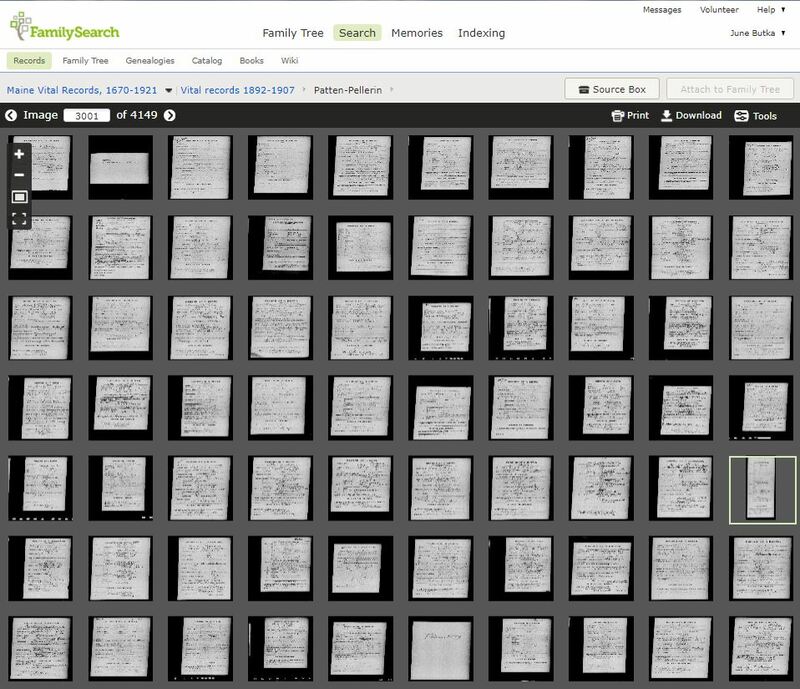 That is where I found the same image shown above with the name faded Charles, but transcribed as Chester. I strongly suggest you open a suggested hint, even if you don’t think it is your ancestor. This is how I found my grandfather’s birth record when indexes, town clerks and vital records stated they could not find, Charles in their records. I did this same process with other ancestors from the early to mid-1800’s with less success. I was told most likely the only place I would find those early birth would be in private collections. Not all were record as the Plantation became town and towns change to other names as they separated and grew.